My website have problem with google. My website have some problem with google. 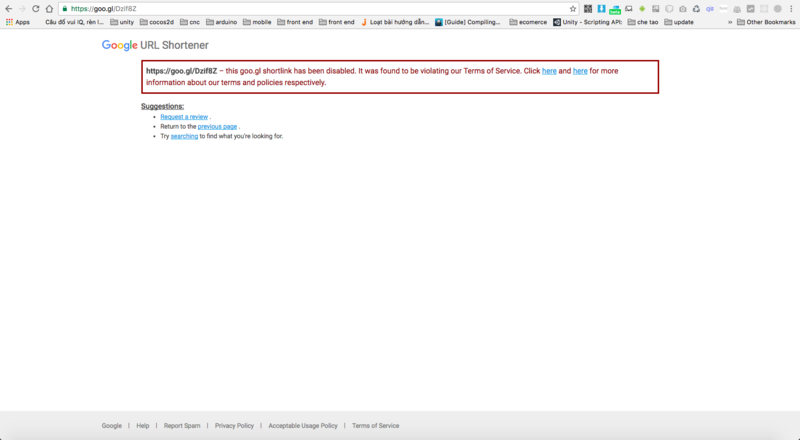 2/ Goo.gl disable my url as spam website. 2- I want to know the reason. i have many years experience on seo ( on-page & off-page ). if you can hire me , i will do this work are 100% manually without use any bot . so , you can hire me now . your website have some problem with google and when you search your websites in google than ?google search result is lost. because your website want to seo. if you seo in this site your site upto one number in the google search bar. i can do this. this work is not so easy. so if you want to me. as a highly skilled seo profession i fully understand your job responsibilities and happy to assist you with white hat seo services, will optimize your website with my result oriented today's era white hat seo techniques to make a google page#1 ranking. i have a lot of experience in link building. order me now. thanks. i'm soumyajit mukherjee and i am a professional web developer ;-) . even i can help you with custom websites. this was same happen to me. i will solve your problem .